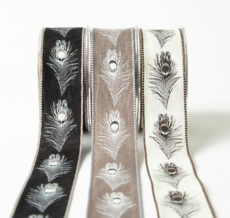 May Arts embroidered ribbon is the perfect trim or embellishment for your next project. A classic & stylish ribbon for a bridal or baby shower. 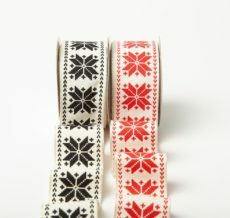 Our embroidered ribbon comes in a variety of styles, including argyle, dots, & floral prints.